ellehermansen: Chinese New Year of the Tiger 2010! If you were born in the year 1938, 1950, 1962, 1974, 1986 (me! ), 1998 or 2010 for all the newbies, then this is our year! 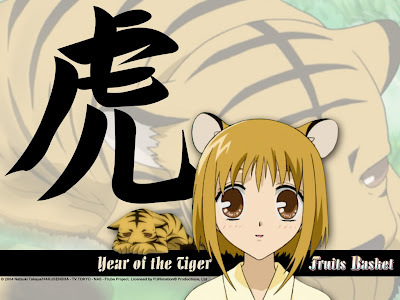 "According to the Chinese Zodiac, the Year of 2010 is the Year of the Tiger, which begins on February 14, 2010 (Valentine's Day!) and ends on February 2, 2011. 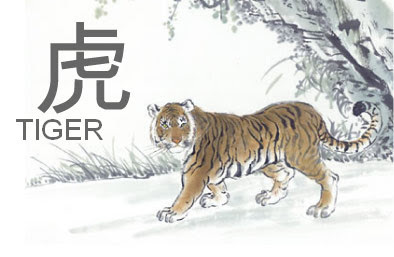 The Tiger is the third sign in the cycle of Chinese Zodiac, which consists of 12 animal signs. It is a sign of courage. This fearless and fiery fighter is revered by the ancient Chinese as the sign that wards off the three main disasters of a household: fire, thieves and ghosts." "Tigers are physically powerful, gracious, independent and brave, they are extremely bold animals. They are friendly and loving but can also selfish and short tempered. Tigers seek attention and power; frequently they are envious in a relation. Tigers live dangerously which often leads to trouble. They are intolerant, take risks and are always searching for excitement. Tigers are also instilled with a good dose of courage. The Tiger has an overpowering attraction and is very kind and always takes on the character as protector. The Tiger flourishes by power and attention and takes advantage of all circumstances it gets itself into. The Tiger is a natural leader and loves to be the centre of attention. As a rebel it goes up against authority and speaks out about wrongs in society, and willingly puts up objections. Even if you don’t agree with the beliefs of the tiger you admire his way to protest. Just as how their counterparts in the jungle are impulsive, so too are individuals born in the Chinese Year of the Tiger. When people think of tigers, it is their vigor and power that comes to mind first. But it has also been noted that tigers are known to share and are unselfish animals. The reason people admire the tiger is due to the fact that they are ferocious and domineering on the outside, but they are just as noble and distinguished on the inside. These are the same personality attributes that persons will have who are born in the Year of the Tiger. People that are born in the Year of the Tiger are generally well liked because of their charismatic personalities. 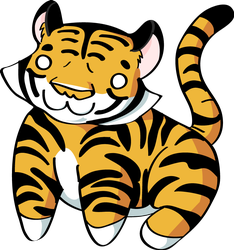 Often, failing at a given duty or being unproductive in his personal or professional life can cause a Tiger to experience a deep sense of depression. A Tiger is always at their happiest when they endeavor to climb the ladder of success. Attaining the top spot is his foremost purpose; being in a position of power is her ultimate goal. They are quick learners, need to be challenged and often prefer to work alone. Some Tigers tend to change careers more frequently because they get bored quite easily. They are natural born leaders and perform at their best if working towards positions of power and influence. So once there is no further room for progression, they will often move on to something else. Anyone that is born in the Year of the Tiger is usually straightforward and outgoing by nature. They will never give up no matter how aggravated they may become. But, they are also full of suspicion and at times will take hasty action. Never lose sight of the fact that Tigers are smart and instinctive. People born in the Year of the Tiger always take pride in being different from others, and normally demonstrate their originality best in their homes. Their homes are typically filled with exotic possessions. It is no surprise that one of the Tiger’s favorite gemstones is the cat’s eye, but tigers also love the sparkle of rubies and diamonds. They like to spend money, and also to share it. They can be very impulsive spenders because they know they can at all times make more. The Year of the Tiger is the third year in the cycle of “Heavenly Branches”. Customarily, it is called “Yin”. 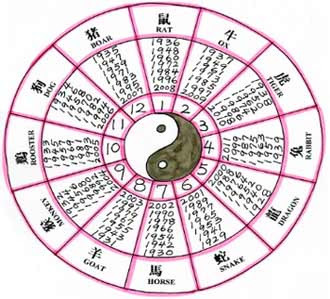 Those born in the Year of the Tiger are compatible with the horse, dog, and dragons. The year 2010 is another Year of the Tiger. It is the ji-chou year. 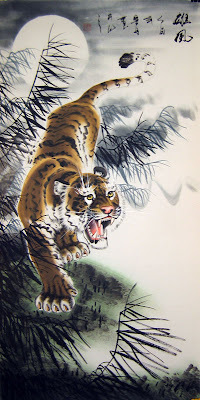 Jji is the sixth of the Ten Celestial Stems and yin is the third of the Twelve Terrestrial Branches and marks the Year of the Tiger. " Do you know many tigers?